Although the surgery in Cleveland wasn’t successful I succeeded in becoming a student at Lakehead University in Thunder Bay in September of 1977. Some of my friends started university that year. I wanted to try university. Since I had been out of school for more than three years for reasons beyond my control Lakehead University allowed me to take at least one course. If I did reasonably well I could register in a program at LU the following September as a mature student. My goal was to get into the Bachelor of Science (BSc) in Biology program. I enrolled in first year calculus, a requisite course, and Astronomy, a science elective. I could drive myself to classes but I worried the walk from the parking lot to lectures would be too far for me. It was a bit of a hike at first but with practice it became routine. The high school correspondence courses had provided me with all the education I needed for university except Chemistry. I took a non-credit course at LU as well which taught high school plus some first year university chemistry. There I met Terry. He was from Toronto and had a BA in Psychology from the University of Toronto. He came to Thunder Bay to take a Masters degree in Psychology and also to study science. We quickly became good friends. Terry had a wild streak in him. He was eight years older than me and had seen much more of the world. Terry possessed a natural propensity for making friends many of whom I got to know. I was still finding my way out of the house when Terry took me under his wing. He made sure I got out to experience the world. Terry took me to a bar one night and got me drunk. I could barely stand up. Another time he set me up with a date, Anna, a nursing student. Our date didn’t lead to second but she and I liked it when crossed paths at LU. Terry knew how to throw some great parties all of which I remember well. He was also licensed to fly small planes. Now and againTerry rented a Cessna C127 from the Thunder Bay Flying Club and take me up flying. When the plane was in level flight he let me steer. I felt so free and in control of myself as I flew the plane over Thunder Bay and the countryside. The coolest was to see my house from 10,000 feet up. When we landed I was eager for our next flight. I squeaked through Calculus with 51% and got a respectable 68% in Astronomy. My marks were good enough to make me a university student in September of 1978. I have to say that Dad’s encouragement and his affiliation with Lakehead University as Professor of Medical Laboratory Sciences had a lot to do with my chance to try out for LU. I enrolled in the Biology program at Lakehead University as a part time student and took three credits. Full time students take five. Mom and Dad thought that three courses would be all I could handle. They were right. My writing was still slower than average. The amount of reading required for just those three courses overtaxed my eyes. Sometimes I came back from LU after classes and asked Mom if she would read a section of the textbook to me. We sat at the dining room table across from each other just as we did for high school and she read the textbook as I covered my eyes with my hands to rest them. I passed my courses and together with the two I’d taken the previous year I had the five credits I needed to complete the first year of the Biology program requirements. I took a course in the spring and another in the summer. These were intensive full courses that went five hours a day Monday to Friday. It was a gruelling overload of information each day. But the classes were small, we helped each other and I earned a credit in just six weeks. Armed with my two second year credits I registered for another three courses in the fall. In April of 1980, I completed the second year of the program. Once more I took a course in each of the spring and summer terms. During that summer I had to say good-bye to Terry. For the three years he was in Thunder Bay Terry was a regular around my home. His colourful personality filled the house as soon as he walked in the door. Terry was my good and constant companion during his time in Thunder Bay. With his MA degree in hand Terry bought an old car. He packed all his belongings in it, which were not much more than his clothes and guitar, and headed off on his next adventure. I missed him when he left. Terry moved west to Edmonton, got married and settled down. In September I started the last three courses for the BSc degree. At the convocation ceremony on May 31, 1981, I received a BSc degree in Biology from Lakehead University. I had accomplished what some people thought I would never live to do. I wanted to continue on to become a graduate student and earn a Master of Science (MSc) degree in Biology. I had to have an Honours BSc (HBSc) to do that. I needed a course average of at least 70% to get into the honours or forth year, but I pulled up short with 68%. I was determined. I studied for another year at LU as a full time student to get a four year BSc pass degree in Biology in May, 1982. Four years of university had taught me about plants, animals, anatomy and physiology, but I still didn’t have a skill to find work. In September of 1982, I enrolled in the two year Medical Laboratory Technologist diploma program at the Thunder Bay Institute of Medical Technology. It was a requirement for the HBSc in Medical Laboratory Sciences program at Lakehead University. In May, 1984, I received my diploma and enrolled in the HBSc program at LU. I had all the courses for the degree from my BSc in Biology except the core courses. In a year and a half I had an HBSc in Medical Laboratory Sciences. I set my sights on the MSc in Biology degree. I enrolled in the Master of Science in Biology program at LU in September, 1984, and worked as a teaching assistant. The pay wasn’t great but it paid my tuition and gave me some pocket money. On graduation day in May of 1986, I received my MSc degree in Biology. I walked in procession into the convocation hall. When I stopped I had a front row seat in front of the podium. Dr. David Suzuki addressed the graduates. He talked about how hard we worked to earn our degrees and that we should take pride what we had achieved. Next Farley Mowat spoke. As I listened I was transported back to the desperate times of 1973 and the evenings I lay tucked into bed listening to Dad reading his stories. I clearly realized then just how far I had come. I held my MSc degree knowing how hard I had worked for it, how determined I had stayed and how much adversity I had overcome to attain my goal. I was definitely proud of my achievement. While I was a Teaching Assistant I thought I would like to teach in a university. To do that I needed a Doctor of Philosophy (PhD) degree, but LU didn’t have a PhD program. In the fall after I graduated with my MSc degree Dad was invited to speak at a conference. He met a former colleague from London, Ontario, who knew of an opportunity. He suggested that I could work at St. Joseph’s Hospital lab in London where he worked. I could try some courses at the University of Western Ontario in London and possibly get into a PhD program. During the year after I graduated with my MSc I applied for work in the medical labs in all the hospitals in Thunder Bay but to no avail. The opportunity Dad’s colleague in London proposed seemed better and better as the months passed. London offered me both a job in a medical lab and a chance to earn a PhD. I planned on moving to London in late August of 1987 but I was faced with a challenge once again. I woke up one morning just before the move to discover that I was completely deaf in my right ear. When I had my hearing tested I was told that my deafness was caused by damage to the auditory nerve. They couldn’t offer a solution to the problem. I didn’t know until then that my tumour and the radiation therapy damaged the myelin sheath around the nerve. The damage impaired its function and started a progressive hearing loss. I carried on hearing only through my left ear. Despite the loss of hearing in my right ear I packed my belongings and moved to London. I enrolled in a physiology course at Western and started part time work at St. Joseph’s Hospital. I worked there for two and a half years as a technologist in the hospital medical laboratory with a great group of people. After three years of trying I was no closer to getting into a doctoral program at Western than when I had first travelled to London. The professors I approached about doing a PhD with them kept citing their lack of research funds. 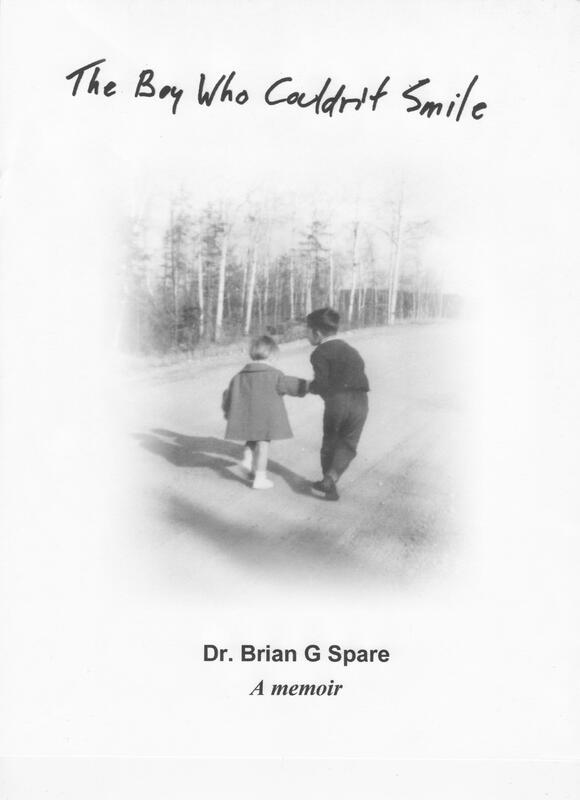 In June, 1990, I moved back to Thunder Bay with my tail between my legs. The London experience was the first time a lot of work and perseverance didn’t get me to where I wanted to go. I was burned out. I couldn’t push anymore. There was some good that came out of my tenure in London. It was a time of much personal growth. I lived by myself independent of my parents. And I clearly demonstrated that I could organize my life and take care of myself. After all I was 30 years old. When I got back from London Dad had a plan. He proposed that we should start an environmental laboratory business. I had the chemistry skills and Dad was confident I could do it. We took a chance and created Tara Scientific Laboratories. This entry was posted in Memoir and tagged bachelor, biology, BSc, Cleveland, course, David Suzuki, Edmonton, Farley Mowat, flying club, HBSc, hearing loss, Lakehead, London, MA, master, medical laboratory, MSc, PhD, psychology, radiation therapy, research, science, scientific, Tara, Thunder Bay, Toronto, unversity, western.